How ShakaCode builds open source and HawaiiChee.com to provide consulting value to marketplace and e-commerce sites. Justin Gordon is the CEO and founder of ShakaCode, a technology consulting firm focused on helping e-commerce and marketplace websites better use Ruby on Rails and React. Justin is a recognized pioneer in the adoption of applying React and Webpack on top of Rails, having created the Ruby Gem React on Rails, which has over 1.4 million downloads. ShakaCode has it’s own travel tech startup: HawaiiChee.com, the first vacation rental listing site that transparently shows a live price comparison of the same rental with an owner direct prices versus the VRBO and Airbnb OTA prices. Since ShakaCode owns the source code to HawaiiChee.com, that code can be used to help ShakaCode’s consulting clients. Justin has been programming computers since the 1980’s, and his love of computer programming is still stronger than ever. After graduating from Harvard, Justin did programming in the money management field, earning a CFA credential. He didn’t like wearing fancy shoes at work, so it was easy for the burgeoning Internet tech startup scene to lure Justin away from finance. Justin didn’t want his entire career solely focused on code, so he earned an MBA from the Haas school Business at Berkeley with an emphasis on technology and entrepreneurship. Justin held senior engineering roles Silicon Valley startups including Infoscape, Extensity, and Trigo. 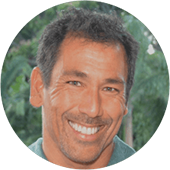 After Trigo was acquired by IBM, Justin chose to pursue remotely working for IBM in Maui. After being exposed to Ruby on Rails by a couple startup friends, Justin chose to pursue building Rails apps as a freelancer, and that led to his consulting firm, ShakaCode. Besides having written many articles at http://railsonmaui.com and https://blog.shakacode.com, Justin has spoken at leading tech conferences including Rails Conf and GORUCO. Justin can be found on LinkedIn, Twitter, and by email. He invites you to connect with him if you think that either ShakaCode or HawaiiChee.com can help your business.